A paralegal is a person who is hired or employed by a law firm, a lawyer, any governmental agency or any such corporation to perform duties related to the legal field. In other words, one may call a paralegal the right hand man to a lawyer. The position of a paralegal is quite prestigious at any law firm. If you think you have what it takes, then you need to start working on your resume today. 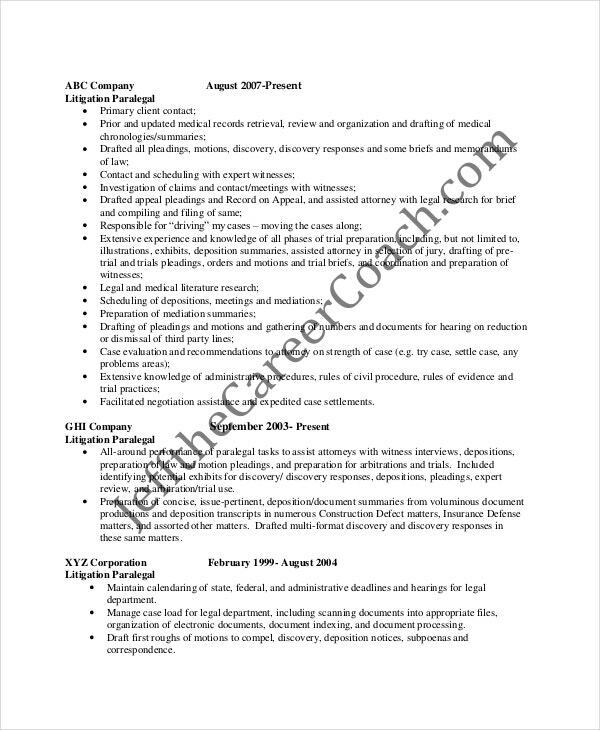 To do that, you can use the various kinds of paralegal or lawyer resume templates below. If you specialise in litigation, you could use this template to apply for a job. This template has been kept neat, tidy, to the point, impressive and professional. Plus, it is fully editable. To apply for an entry-level position at a firm as a paralegal, you can use this temple. Since the template is in Word, you will be able to modify the details and add your own. 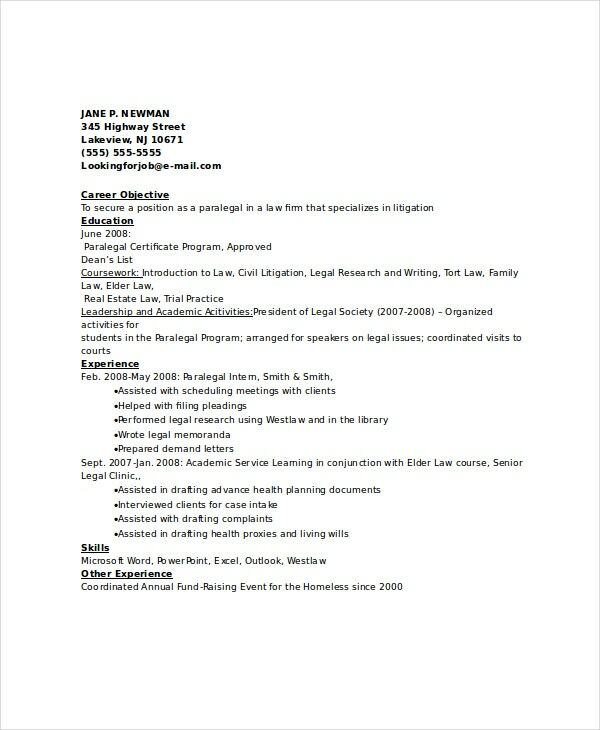 While creating your own resume, you can use this sample paralegal resume template. You would be able to download the template, go through the details and even customize them to add a personal touch. 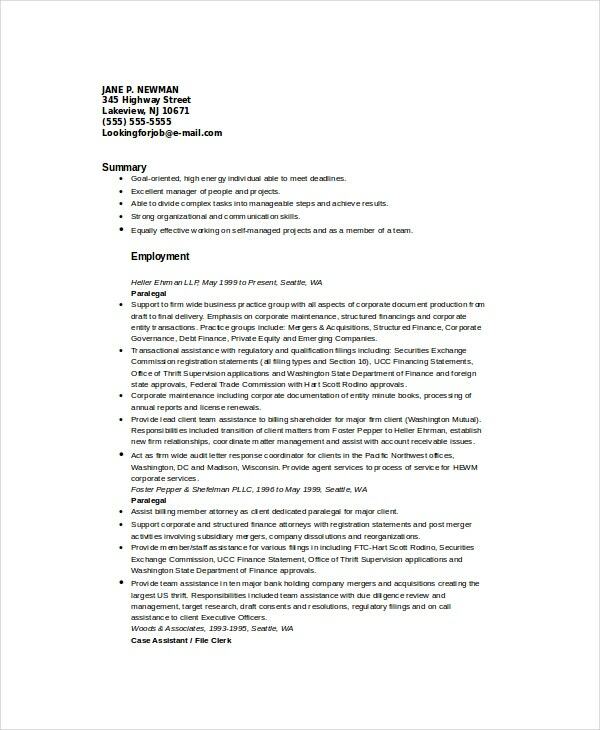 For specialised paralegal resume templates, you can use this template. Once you’ve downloaded it, you can open the template in word and then modify it to add your own details. > Who can use the Paralegal Resumes? As the very name suggests, only those with a passion for the particular field would be able to use the template. Anyone who has had sufficient training to be a paralegal would be able to use these templates to apply for a job. People with ordinary educational qualifications wouldn’t qualify for the post of a paralegal. You need to have a knack for it and you also need to have a background in legal, even if you haven’t passed the bar. Paralegals can be of various kinds, depending on the kind of cases they handle. For instance, there are criminal cases or even immigration cases. Each kind of case would require a different paralegal. For that, you can use these templates here. 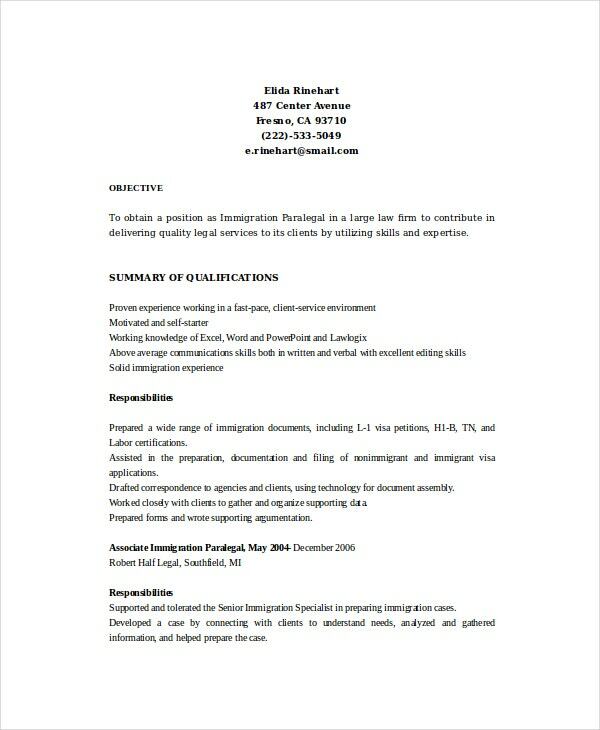 > Why Should you go for Paralegal Resumes? The field of law is highly technical, specific and isolated from the other fields. Naturally, to apply for any position in this field, you would need resumes that have been designed specifically for it. Even within a law firm, there are several designations and posts. You have executives, account managers, paralegals and of course, lawyers. Even with lawyers, you have several kinds based on the kind of cases they handle. Each job description calls for a distinct kind of resume. Similarly, if you are applying for the position of a paralegal, you will need these specialized resumes that go with your qualifications, education and work type. Mention your qualifications and educational details first. Based on that, you would be shortlisted for the job. If you have had any training, then that must be mentioned as well. Give your areas of expertise beforehand. That will determine the course of direction for your career. Check and recheck the details of your resume to make sure you haven’t missed out anything. 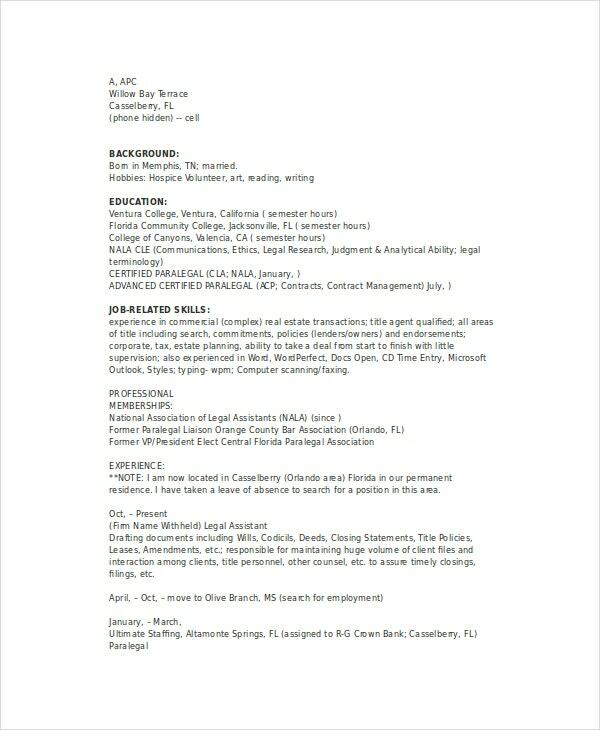 Use a neat and organised layout for your resume. 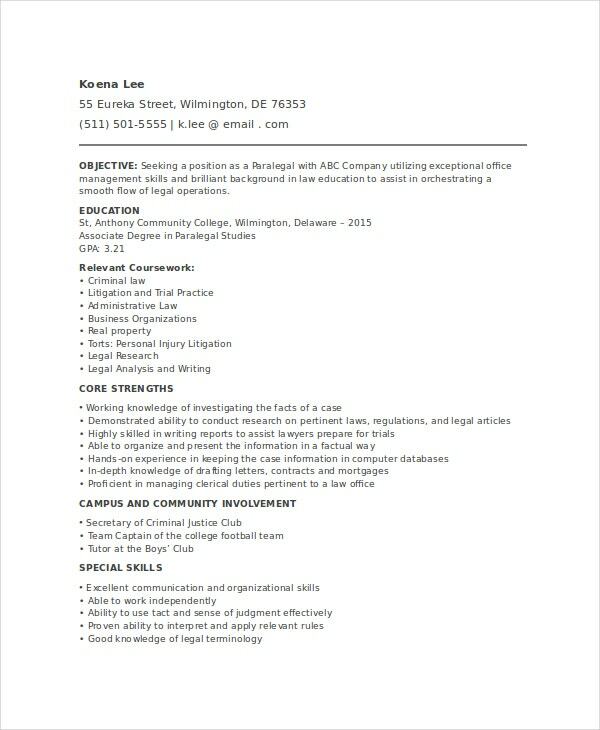 To bag your dream job as a paralegal at a prominent legal firm, you need to pay attention to the design of your resume. 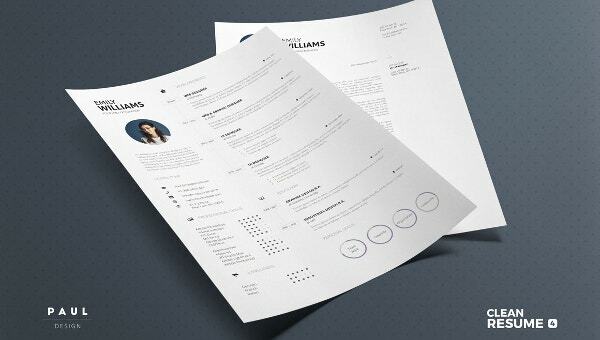 To make sure your resume appears stunning and impressive, you can use these resume templates. The legal administrative resume templates would be perfect for anyone planning to work in the said field.